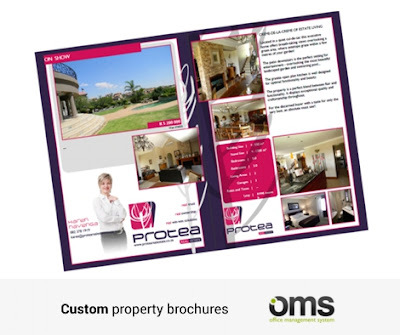 The OMS provides a range of standard property brochures and stock reports. These PDF brochures can be generated at the click of a button. We furthermore provide custom brochure design, starting at R1999 ex VAT. Here is a sample of one we've done. These are then added to your OMS account and can be accessed like the standard brochures.